This post is sponsored by Things Remembered. As always, all opinions are my own. Becoming a mom is a beautiful thing. At that moment, you realize there’s no where else in the world you’re supposed to be. After 9 months of carrying your baby and feeling them move from inside your body, you’re now holding them in your arms. It’s magical, it really is. Everyone loves to buy gifts for a new baby. There’s nothing cuter than tiny onesies, little diapers, or miniature moccasins. But what about the mama? She just labored for who knows how long and deserves a little pick me up, right? So when I go to visit a new baby, I usually bring a gift for the baby and the mom. It doesn’t have to be anything crazy or expensive, but just something she can find useful. 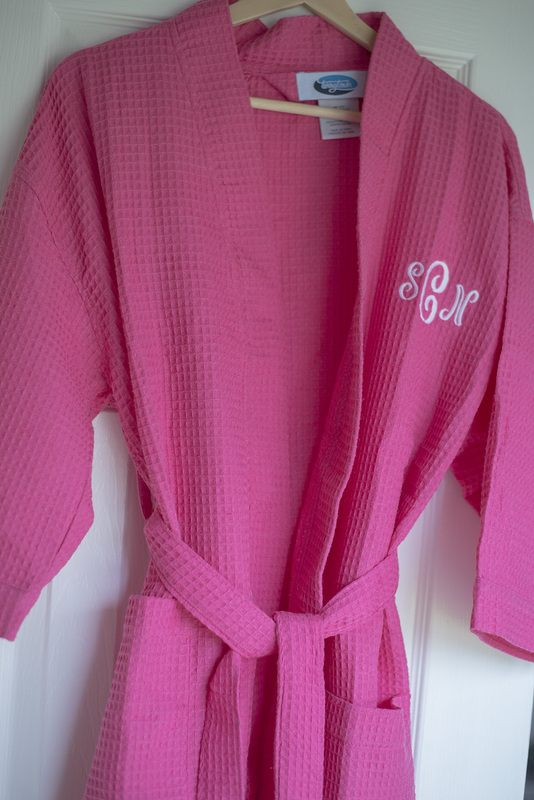 Bath robe: Not only are these a great gift for the hospital, but upon returning home too. They’re easy to nurse in and are so much more comfortable then trying to throw on restricting clothing. I love these waffle robes and I love that they’re personalized. Makes them extra special! Slippers: Not only are slippers nice to have for walking around the hospital after baby, but they’re nice to wear around the house as well. And comfortable is always a good idea. Facial masks: Mama needs a little pampering! Grab her some face masks, lotions, bath bombs, etc! Can’t go wrong there. Nursing scarf: Learning to nurse in public can be a nursing curve, but I love cute nursing scarves that double as nursing covers. 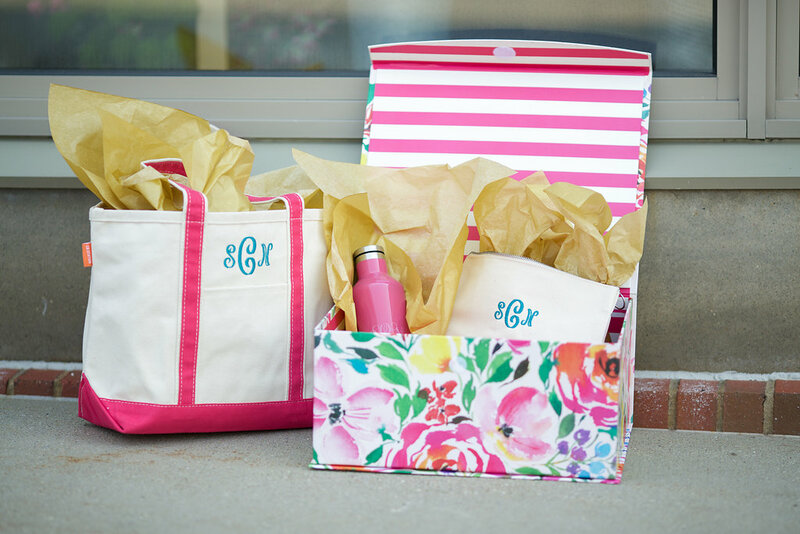 Tote and cosmetic bag: All new mamas have to pack a hospital bag, so I loved these matching and personalized tote and cosmetic bags. Perfect to pack the essentials for after baby and toiletries for the hospital stay. They can also be used as a beach bag or travel bag so they’ll get plenty of use. Coffee gift cards + mug: Sleep deprivation…need I say more? 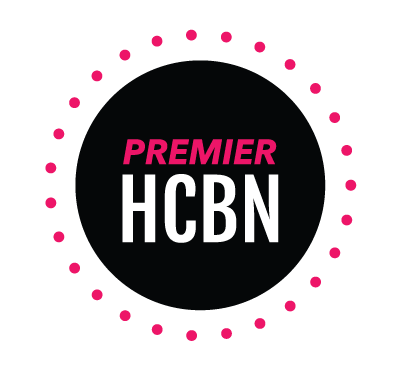 Meal delivery service: There’s nothing worse than trying to plan meals and cook for your family when you’re beyond exhausted and not feeling well. A meal delivery service is the perfect way to send help right to your favorite mama’s front door. Journal + pens: She may want to write things down as she experiences a ton of firsts, so provide her with a cute little journal and pens to jot her thoughts down. Personalized jewelry: Get creative! Maybe it’s her baby’s birthday, name, or simply “Mama”, personalized jewelry is a great gift to treat the new mama. Spa gift card: I couldn’t wait to get my hair done after the first few longs week at home! This is a great idea to get the mama out of the house and help her feel more like herself again. Water bottle: Staying hydrated after baby is super important if you’re planning on breastfeeding. 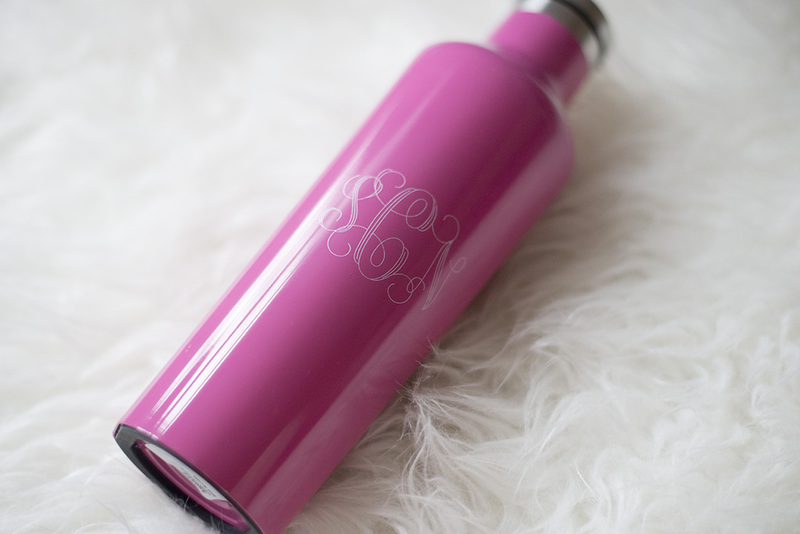 This personalized water bottle makes it easier to stay hydrated wherever she is. And it’s super cute, right?! HELP: Seriously, a new mom would love nothing more than someone to come over and hold baby while she takes a long shower. Maybe throw in a load of laundry, bring over a meal, keep her company, etc. A gift doesn’t have to be a tangible thing but those first few weeks are quite brutal. And during that time, I loved any extra help around the house or with the kids I could get. Becoming a mom is one of the greatest experiences, but it isn’t always the easiest. 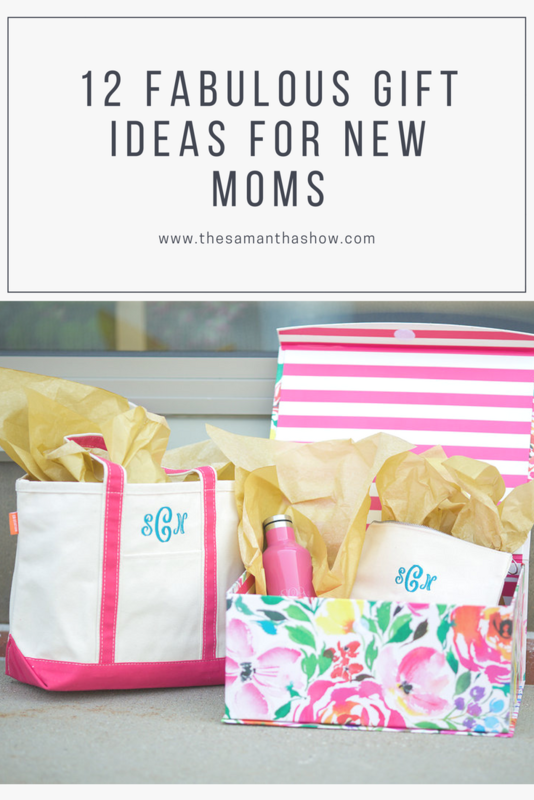 These small gestures and gift ideas for new moms will help them feel extra special and supported during this new chapter of their lives. 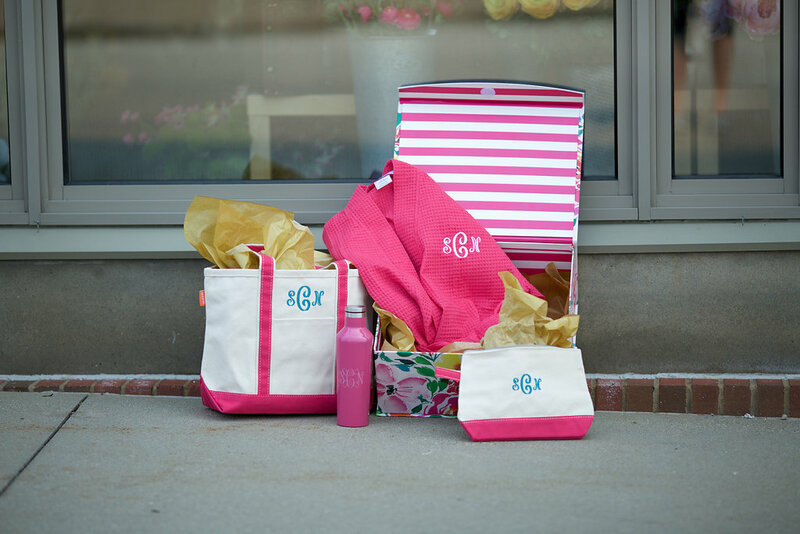 What are some gifts you received as a new mom or think a new mom would like to get? !